SIFTING THE BLEACHED BONES OF THE PHILS’ BITTERSWEET 2018! The Phillies enter tonight’s game in Miami at 74-71, seven and a half games behind the Atlanta Braves, who lead the NL East, and six games out of the Wild Card. In other words, with just 17 games left to play in this season, they are toast. 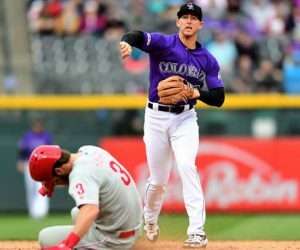 It was a great ride for the team and its fans, and they actually were in first place for a good part of June and July before the wheels came off in August. 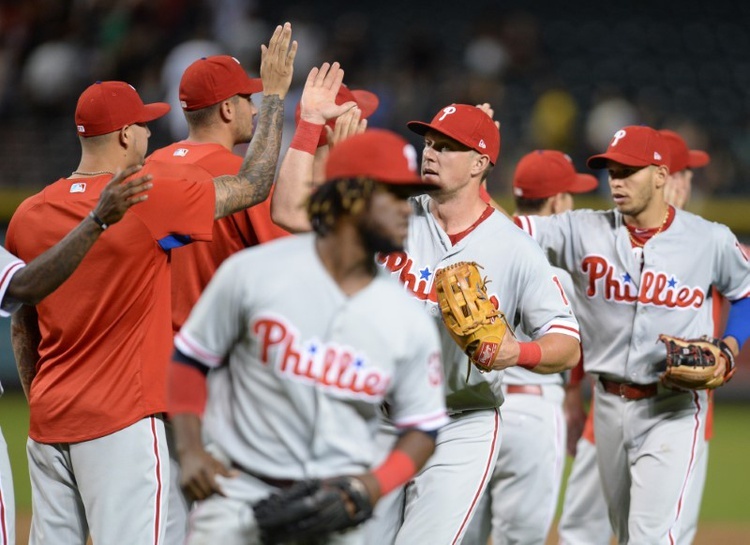 Since completing a four-game sweep over the Marlins on Aug. 5, the Phillies (74-71) are 11-23 and 0-10-1 in those series. They went from 1 1/2 games ahead of Atlanta in the NL East to 7 1/2 games behind with only 17 games to play. Based on their reliance on analytics, they’ve also placed more importance on hitting balls in the air. But most of the hitters are trending downward this season. Odubel Herrera has a career-high 21 homers, but career-worst average (.257) and on-base percentage (.313). Cesar Hernandezalso has a career-high 11 homers, but a career-worst .256 average and his OBP is down to .361 from .371 last season. Nick Williamsalso has more homers (17) than he did as a rookie but in more at-bats. His average is down from .288 to .256. Rhys Hoskins (.252, 30 homers and 89 RBIs) has been streaky but overall is the team’s best hitter. Maikel Franco (.268, 22 homers, 67 RBIs) is the only player who has better overall numbers under the new coaching staff and he’s a player Kapler has tried to bench several times. The Phillies pursued Manny Machado, but the Orioles traded him to the Los Angeles Dodgers because the Phils weren’t willing to part with top prospects. Expect the Phillies to go hard after Machado and Bryce Harper in free agency after the season. Machado wouldn’t have made that much of a difference this season. Cabrera has five homers and 17 RBIs in 41 games for the Phillies. Machado has nine homers and 25 RBIs in 49 games for the Dodgers. 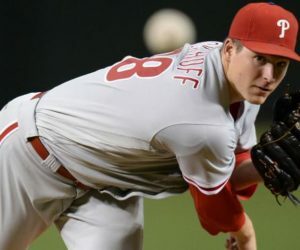 Klentak added a couple of relievers who haven’t made an impact and passed on acquiring starting pitchers such as Cole Hamels orJ.A. Happ to complement NL Cy Young contender Aaron Nola. Hamels has been excellent for the Cubs, going 4-0 with a 1.42 ERA in eight starts. Chicago is 6-2 in those games. Hamels could’ve replaced Nick Pivetta or Vince Velasquez in the rotation. 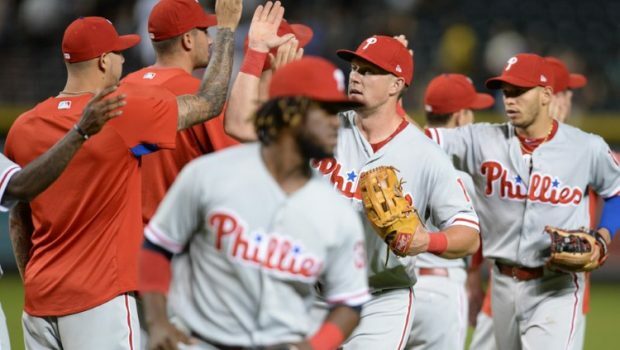 The Phillies are 3-5 in each of their starts in that span. So, it wouldn’t have made enough of a difference. 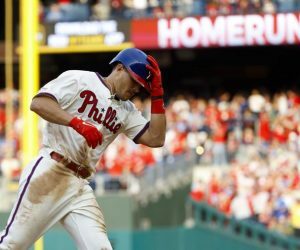 Coming off five straight losing seasons, the Phillies weren’t expected to contend this season. The goal was to have Kapler instill a positive attitude, change the losing culture, develop young talent and find out which players will be part of the nucleus going forward. The Phillies aren’t ready to start looking ahead to the offseason. They were seven games behind the Mets with 17 to play in 2007 and came back to win the first of five straight division titles. But this team doesn’t have Jimmy Rollins, Ryan Howard, Chase Utley, Shane Victorino, Aaron Rowand and Pat Burrell. ”It’s not over until we’re eliminated,” Arrieta said. Previous EAGLES BROOKS: PLAYING EX-MATES CURRY, ALLEN NO BIGGIE, WATCH! Next EAGLES-BUCS: EX-BIRD DESEAN JACKSON BACK AT PRACTICE!